I'm looking for a BI Business Analyst to assist the BI development team in developing the data structure, process, business rule and reporting designs that satisfy business requirements for major enhancements to the BI platform being developed for my leading finance client. The BI platform consists of interactive Tableau Dashboards to the underlying OLAP cubes, Datamarts and a Data Warehouse, which means the sucessful BI Business Analyst will be responsible for business requirements gathering, functional analysis, documentation, design, development and testing relating to data visualisation solutions. I need a candidate with experience in financial markets and risk management knowledge. I need candidates who have a lot of knowledge around financial instruments for example credit risk, FX, derivatives, bonds, cash flow etc. The succesful BI business analyst needs to be skilled in SQL, Tableau visualisation, dimeonsional modelling and experience with SSAS cubes. Applicants must have a minimum of 3 - 5 years of business analysis experience. 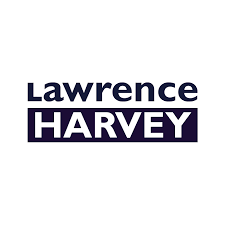 Lawrence Harvey, established in 2002, is an international recruitment business specializing in Technology recruitment. Our consultants are specialists in their specific fields of recruitment, therefore we have expert recruiters in Enterprise Applications, CRM, Data & Analytics, Security, Infrastructure & Development and Business Advisory & Strategy.